Super Falcons won the 2016 Women's Africa Cup Of Nations for the eight time after a 1-0 win over the hosts, Cameroon in front of their home crowd in Yaounde. 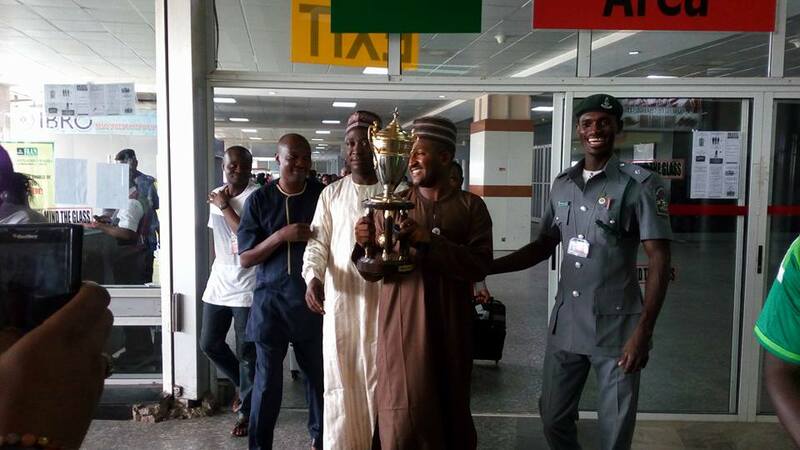 The team arrived Nigeria earlier today with their trophy in sight following the record title winning. A late goal from Desire Oparanozie was enough for Nigeria to beat Cameroun for the fourth time meetings and claiming the title again. Nigerian Super falcons have dominated this competition since their first appearance since 1991.